Aham Bramhasmi. I am the creator of my own destiny. I am not going to show you any miracles in the outer world but will show you the miracles within you. The real genuine miracles are what you will do within and change your life. Shudh Mann, Nirmal Mann, Nishchal Mann, Vishal Mann. Your death reflecs the way you lead your life. So try to remember that and lead your life to the fullest every day. Like Lord Shiva,in any situation, always be in a state of Anandoham (Bliss). Learning should always be a continuous process. Always be a student. Dont become a guru. Try to learn even from even a minute thing as Lord Dattatreya made ant his Guru. If you are attracting negative things and negative people, then it means it is time for some more sadhana, some more meditation. Make very clear objectives of your life in the Golden Book and read this every morning and night and also before and after sadhana. To become Shiva Swaroop, respect females..
To get into Shivyog, one must have nirmal mann, shudh bhavana. Every incident happens to give us a lesson.It's on us whether we react negatively to it and and do not learn a lesson or vice versa.We can change our lives by changing reaction to any given incident. This way, no new karma will be accumulated. If you give unconditional love when you are out of the house to everyone and when you come back you are fighting and sulking at home, it is of no use. Charity begins at home. Just by looking at Sri Chakra (activated) many lifetime's karma will disappear. Experience the world first and then get in to full spirituality. When you get up in the morning do dev karma, whole day as you go about do nishkaam karma and in the night with your family shanti karma. Learn something everywhere you go and from everyone. Shambhavi sadhana is Shiv sadhana and Sri Vidya sadhana is shakti sadhana. Only shambavi sadhana is incomplete without the shakti sadhana (male-female energies), but first purify yourself with shambhavi sadhana and then with Sri Vidya sadhana your sadhana is complete. Morning Shambhavi sadhana one hour and night Sri Vidya sadhana one hour. As you do sadhana, your family and friends group also become pure due to your influence. Old/unmatching negative people will either change or will leave you (like energy attracts like energy). By noticing whatever type of people are getting attracted towards you can know what your level of consciousness is. 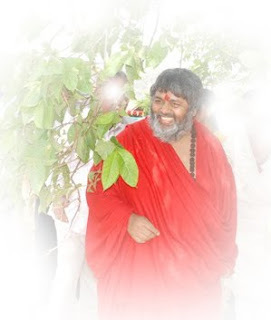 If negative people are coming then it is time to increase your sadhana. With charity (nishkaam; selfless) goes bad karma also. Unless things are not being done from home, your charity or healing is fake and of no use. Do not brand children - "He is naughty." "She has a problem." etc. I take 9 days to slowly wash everyone thoroughly (purify by washing away karmas) otherwise it could have been done in 2 days. Every incident in your life is created by your soul to learn a lesson from it. The more flexible you are the more healthy you are and the more stiff you are the more illnesses. Fear, anger, hatred, non-forgiveness bring disease. Cells catch on every feeling and act accordingly to form disease. The body releases hormones and chemicals as per emotions/feelings. If you gain control over your five bodies (koshas) you have control over the entire Universe. Only your physical body exists in the 3D. As you spiritually grow, your other bodies (koshas) reach other level of consciousness. Eg: The etheric body is in devalok with higher levels of consciousness and with lower levels of consciousness it is in the lower planes. When the soul leaves the body, it reaches whichever plane the etheric body is at that time. Thus ascension happens (while alive) with every good deed. With realization it reaches Shivalok (mukthi). Everyday you must aim for higher and higher ascension. Along with ascension, you can also tumble down with a negative reaction. Let go of sarcasm, comments, hurts. My gurudakshina is that you should remain happy and find happiness in all situations. 15 days of intensive sadhana would do great benefit. First and foremost indicator of Shivyog - good health. Silence is the language of truth. Shiva is shunya and within Shiva is Bhagwati. Ravana was also a sadhak but with rajogun. Don't do arathi on any"body" or touch the feet of any"body". If these have to be done, do on the Divine. Sri Vidya is the highest sadhana for eliminating sanchit karmas. As karma gets eliminated little by little with sadhana, grace starts flowing. A time will come when you can materialize anything but (at that time) there will be no desire to exhibit (show off). Once a guru activates the yantra in the disciple, then it works on its own like a dynamo as sadhana is done. During Shivir do not talk much, eat satvik food and the grace shall be great. Your daily agenda should be to give love to as many beings as possible. Anahat naad (OM) comes from within a Shivyogi after a period of time. Love and vasana (lust) are two different things. To read more on this click here. All mantras began from the panch mantras. The ignorant will suffer always blaming others. Instead, think, 'What lessons did I learn from the incidents of my life?' Only the awakened take responsibility. With Sanjeevani any mantra, tantra, yantra (anything positive) is activated. When shaktipath is done, it is upon the individual how he takes it. Do not suppress your emotions, let go, but at the same time don't lose control over the emotions. Don't encourage those emotions to overtake. Guruma says, "Don't keep your eyes open and watch others and their reactions during sadhana; you will only watch others reach their destination and you will remain where you are." Guruma says, "Guru makes you experience death (while alive)." why babaji is not coming to PUNE? . what kind of prayer and visualisation be done,so that he comes to pune. I am not a sadhak but want to attend shivir and not getting a chance to attend it. Visualize whatever you want and feel it with all those emotions that you would have when you would actually be in that situation. Do this all the time without pondering again why it is not happening. Don't think of results. Just visualize and feel and keep enjoying that feeling. The lesser you doubt or question, the stronger that intention. Namah Shivaya.